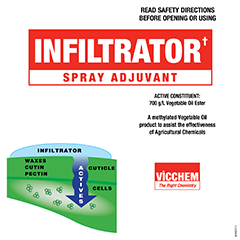 Infiltrator Spray Adjuvant contains Methylated Vegetable Oil and a blend of non-ionic surfactants. INFILTRATOR is a product which combines Methylated vegetable oils with Nonionic surfactants in a stable easy to use formulation which is designed to assist the effectiveness of Agricultural Chemicals. INFILTRATOR contains a high level of nonionic surfactants to assist in the wetting and spreading of pesticides, fungicides and herbicides on the target surface. The need for spray adjuvants such as INFILTRATOR is well accepted in the agricultural industry due to the benefits these products provide to a wide range of active ingredients such as herbicides. The use rates for INFILTRATOR apply to the specific situation in which it is utilised. 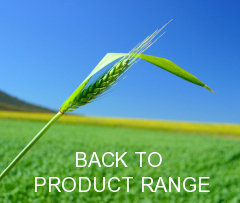 Typical use rates for Broad acre and boom sprays are 200ml-1lt/100 Litres of Water depending upon the application. For aerial, CDA or ULV spraying, typical use rates are 200ml – 2LT/Hectare again depending on the specific situation. Always follow the directions for use on the Active Ingredient label in conjunction with the user information on the INFILTRATOR label.